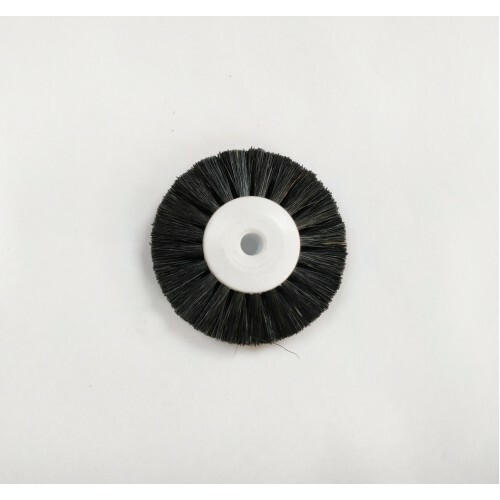 Black bristle Lather brush. 72mm Diameter overall with the centre diameter 39mm. Thickness 4 Rows of converging bristle 14mm>5mm.